TORONTO, April 27, 2017 CNW/ - These organizations are outperforming their peers; both financially and in terms of innovation, collaboration, and productivity. Great Place to Work®, the research firm that produces this list, is now accepting a limited number of interview requests with winning companies. What's so special about these companies? While there is no single right way to create a great workplace, the very best companies have managed to create a culture where employees TRUST the people they work for, have PRIDE in what they do, and ENJOY the people they work with. Proven ROI - What's more, independent research by the Russell Investment Group (see attached visual) shows a strong correlation between high-trust workplace cultures and financial performance. This graph tracks the financial performance of publicly traded companies on our Fortune list of 100 Best Companies. GPTW (www.greatplacetowork.ca) is the global authority on high-trust, high-performance workplace cultures. 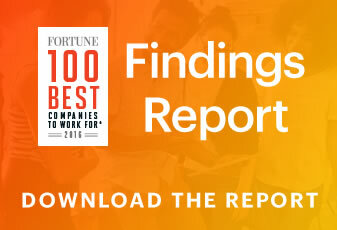 Through proprietary assessment tools, advisory services, and certification programs, GPTW recognizes the world's Best Workplaces in a series of national lists including those published by Fortune magazine (USA) and, today, The Globe & Mail (Canada). Great Place to Work® provides the benchmarks, framework, and expertise needed to create, sustain, and recognize outstanding workplace cultures.